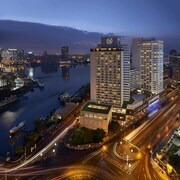 A stay at Grand Nile Tower places you in the heart of Cairo, convenient to Cairo Opera House and Cairo Tower. 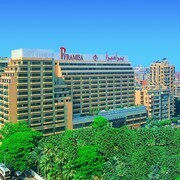 This 5-star hotel is within close proximity of American University of Cairo and League of Arab States. Make yourself at home in one of the 716 air-conditioned rooms featuring minibars. Rooms have private balconies. Complimentary wireless Internet access keeps you connected, and satellite programming is available for your entertainment. Private bathrooms with bathtubs feature hair dryers and bathrobes. Be sure to enjoy recreational amenities, including a nightclub, a health club, and an outdoor pool. Additional features at this hotel include complimentary wireless Internet access, babysitting/childcare (surcharge), and gift shops/newsstands. Featured amenities include a business center, limo/town car service, and express check-out. 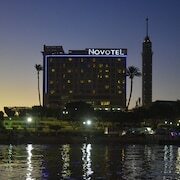 Planning an event in Cairo? This hotel has 29052 square feet (2700 square meters) of space consisting of conference space and meeting rooms.